Contract adjustments will change our covered call writing and put-selling positions. In the past, I have written about the effect stock splits and dividends have on our positions. In this article, I will highlight another cause of these adjustments, mergers and acquisitions (M&A). This is a corporate event where two companies are joined into one or one company purchases another. 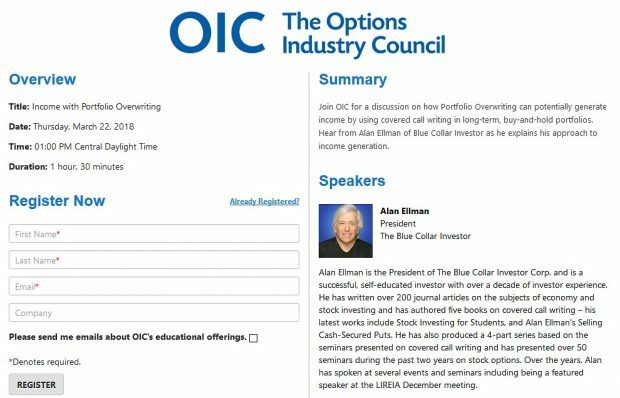 In both instances, option contracts will change based on decisions made by panels from the Options Clearing Corporation OCC), with a goal of making option buyers and sellers “whole”. Part I of this two-part series will detail All-Cash Mergers. Deliverable: The unit of trade, generally 100 shares per contract for unadjusted contracts. Aggregate exercise amount (aggregate contract value): This is the total amount paid or received for the deliverable and is generally the strike price x 100. For example, if a $55.00 call or put was bought or sold, the aggregate exercise amount is $5500.00 per contract. It is important to understand how corporate events can alter our option-selling positions. Contract adjustments are determined by OCC panels and are changed based on the specific terms of the event. In Part II of this series, we will be detailing Stock and Cash mergers. More information on specific mergers can be gleaned from our brokers or by calling the OCC at 1-888-678-4667. A large group of Congressional Republicans recently sent a letter to the Department of Labor asking them not to restrict the financial advice offered by fiduciaries as related to investments in sheltered accounts. Most of us do not depend on the advice of financial advisors but there are many retail investors who do depend on wealth managers for option-related investments who may be impacted by DOL proposed regulations for these fiduciaries. As I receive more information from my contacts I will pass it along to our members. For the week, the S&P 500 rose by 3.26%% for a year to date return of (-) 2.14%. I’m curious why you are not adding otm strikes since the market had a good week. The market did have an encouraging week but it is only one week. Also, we are entering the final week of the October contracts. If we have another positive week, I will most likely add some more aggressive positions to my November portfolio. Thanks to Jay for initiating this idea. Thanks for the kind post and request for feedback. I do not know either if such a contest would be helpful or just fun !? I do know I read many smart posts from smart people here and my hunch is we can come up with something. Even if it is just the year end S&P close, a favorite Wall Street game :). This week’s Weekly Stock Screen And Watch List has been uploaded to The Blue Collar Investor Premium Member site and is available for download in the “Reports” section. Look for the report dated 10/09/15. Could you please give an example of how to calculate the 20% /10% with a ITM call & how you place the limit order to BTC if limit price is reached. In the 3rd week of a 4-week contract and in the 4th week of a 5-week contract change to $0.35 (10%). This will automate the option buyback when needed. If the trade is executed we can then decide our next step based on the information provided in my books and DVDs. Have you ever considered setting up a forum for members only? I know you have members worldwide so it would be a good opportunity for members to introduce themselves, discuss their current trades etc. The Weekly Report and Watch List has been revised and uploaded. The change was due to an ER change in HAWK. Please look for the report dated 10/09/15 RevB. No other stocks were impacted by the update. Thanks to John for finding the change. Thanks Barry for the revision. Also thanks John for finding out about HAWK. I just so happen to be in a HAWK position. HAWK Oct15 40 Covered Call. The profit is up nicely for only being in for ten days. Now that I am aware that earnings are tomorrow after the close. I will just close this position and lock in that profit and avoid the extra risk. For those in a HAWK position I suggest you take a look at doing some sort of adjustment because earnings come out this Tuesday (10/13/15) after market close, before expiration. Excelent decision to close before ER. I was wondering about this revision. Do you know of a free site for reliable put-call ratio statistics? Below is an example of the search results. CLICK ON IMAGE TON ENLARGE & USE THE BACK ARROW TO RETURN TO THIS BLOG.